Educational Director of the Feldenkrais International Training Centre Ltd is Garet Newell. With a university degree in Art History and an MA in Dance in Education, she discovered the Feldenkrais Method through her many experiences in various approaches to both movement and awareness. Garet studied with Moshe Feldenkrais in his final training, which took place in Amherst, MA in the US and in Tel-Aviv, Israel, from which she graduated in 1983. 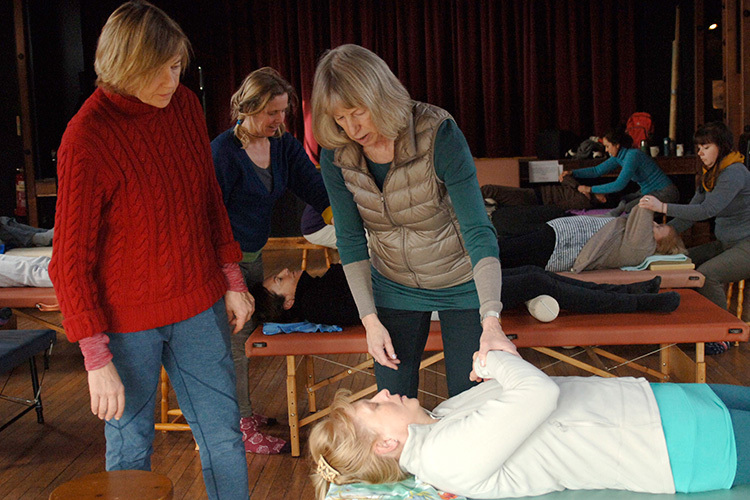 Teaching in London since 1984, she has been instrumental in introducing the Feldenkrais Method to a wide audience. For 14 years, she taught at the International Workshop Festival, inspiring many performing artists to utilize the Feldenkrais Method. She co-directed the first Feldenkrais professional training programme in the UK, which began in London in 1987 and went on to establish the Feldenkrais International Training Centre in 1990. She has since directed eight successful trainings in Sussex–in Lewes and in Ditchling. She is Educational Director of all current trainings. In 1994, she became one of the first Europe-based Trainers and the first resident Trainer in the UK. She has been instrumental in research for a complete biography of Moshe Feldenkrais, having conducted interviews with former colleagues of Feldenkrais from the time when he was resident in both Scotland (during the World War II) and afterwards in London. She has been invited to teach in training programs around the world. She brings this extensive experience and her innovative thinking to create and oversee the conceptual framework over the four years of each training. She is known for her clarity, caring and humor in her teaching. Over the years, she has played a crucial role in the formation of the international Feldenkrais community, having been a founding member of the International Feldenkrais Federation and of the European Training Accreditation Board. Garet’s profound insight of the Feldenkrais method coupled with her generous and attentive teaching has provided me with one of the most interesting and enriching experience of my life. If I were asked to “trip advisor” this journey I would give it a top rating! !